In a decision that is certain to cause heated debates in HR circles, not to mention office cafeterias and water cooler hangouts, Yahoo chief Marissa Mayer has banned working from home for all her employees. As per a memo sent out last Friday to Yahoo employees, those who have been working ‘remotely’ now either have to move to the nearest Yahoo office by 1 June or put in their papers. This won’t go down well with the world’s digital evangelists, who would have you believe that everything – from meetings to matings to partings – is best done via the internet. And as the CEO of an iconic digital company, Mayer deserves to be applauded for demonstrating the courage needed to take an unpopular, counter-intuitive decision. A lot of nonsense has been written about stuff like ‘telecommuting’ and how organisations can ‘leverage’ technology to cut costs and improve productivity. So yes, having a chunk of your staff work from home will trim your overheads. And yes, if they are self-driven and reliable and sincere and their astral bodies roam the corridors of your office during working hours, hovering benevolently in conference rooms when strategies are being thrashed out, by all means get them to work from home. But most companies don’t require only individual contributions from individual employees. A lot of value is derived from team interactions – from top-down, at the same level, and from downward-up. And a lot of fruitful team interactions are informal, serendipitous, and unplanned – something you simply cannot have with remote employees. And this dimension of value and employee contribution that can only come from being physically in the same space is completely lost when employees begin to operate from home. Mayer is too smart not to have figured this out. 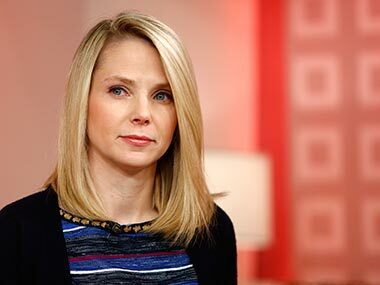 She took over as Yahoo CEO in July 2012. In October, she had a baby. She could have easily taken maternity leave – and for as long as she wanted, a privilege she would obviously enjoy as the new CEO. But she skipped maternity leave and chose to come back to work immediately after having the baby – and with this new directive, she is evidently preaching something she believes in and already practiced. It remains to be seen how Yahoo’s 11,500 employees take to this diktat. But Mayer makes a strong case. The leaked memo is quoted as saying in AllThingsD, “Some of the best decisions and insights come from hallway and cafeteria discussions, meeting new people, and impromptu team meetings … Speed and quality are often sacrificed when we work from home.” You can’t but agree with Mayer here. Nothing can beat walking up to someone for an input, as opposed to laboriously composing email or text messages for something that could be resolved by walking across a corridor. Of course, working from home does have its rightful place in the professional world. It is ideal for consultants, for mom-and-pop outfits that have two or three employees and cannot invest in office space. It works well for businesses that need to have just one representative each in multiple geographical locations – say, a media house that needs to have a correspondent in every continent or major commercial capital. Some work-from-home flexibility should always be on the agenda when it comes to managing talent you cannot otherwise tap into. The smartest of tech companies – Google, Facebook, LinkedIn, HP – don’t have a fixed policy on this. They have neither banned it or nor do the particularly encourage it, preferring to go on a case-to-case basis, to be decided by the concerned manager. But then, the home environment is hardly insulated from distractions. As someone who tried working from home for a few months, I can vouch for the fact that, in the absence of the structure offered by the office routine, you need highly evolved self-management skills to be able to manage distractions and work at optimal efficiency. Also, if you are in a phase where you are trying to rebuild the organisational culture and team spirit, which is presumably what Mayer is trying to do, then it would be difficult to get through to staff who are hardly ever there on your premises. Incidentally, the strange phrasing of the directive has also led to much mirth on tech websites. “We need to be one Yahoo!, and that starts with physically being together,” says the memo. Well, for those Yahoo employees used to only being spiritually together, not being “physically being together” will not be an option anymore from 1 June. And it would be interesting to see how this Mayer’s edict impacts work-from-home policies in other companies.